Apple has gotten extremely proficient at live streaming their events over the past few years. Now, in the lead-up for their “It’s Show Time” event, Apple is playing coy with its fans. 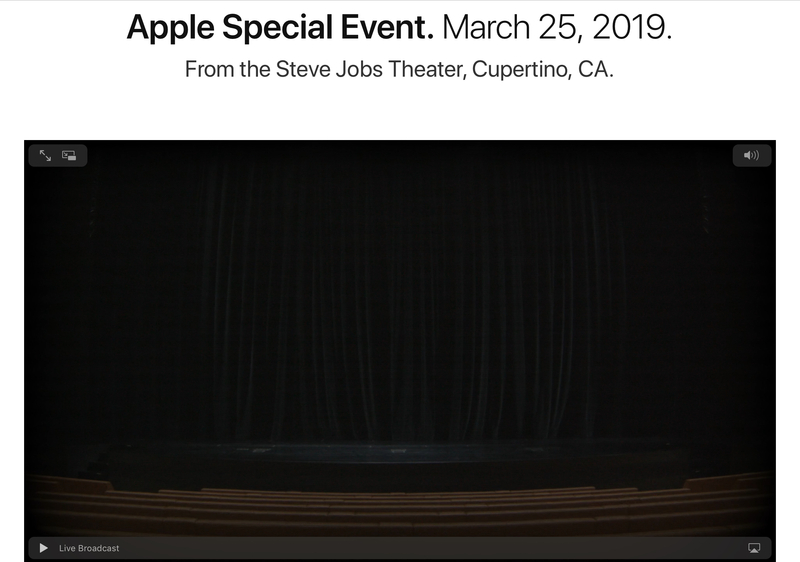 For the last few hours, Apple has been “live streaming” the stage of the Steve Jobs theater. According to the Verge, the video is actually a loop, which contains clips of someone cleaning the stage, clips of videos, and even an incoming call from actor Chris Evans. When viewed closely, it’s clear that the style is inspired by old-school television sets. Additionally, some of the various clips seem to point to television or video content. This all-but confirms that Apple will be showing off some sort of TV/video streaming platform. We’re not sure how much longer the video loop will be up, or what other Easter eggs might be hidden as the evening progresses. For now, you can drop in on the stream over on Apple’s site and get a very curated behind-the-scenes experience . Apple will take the stage of the Steve Jobs theater Monday, March 25, at 10:00AM Pacific (1:00PM Eastern). As usual, Mactrast will have coverage of all the happenings after the event. Next PostNext Did Fortnite Celeb Ninja Just Hint at Apple Gaming Platform?